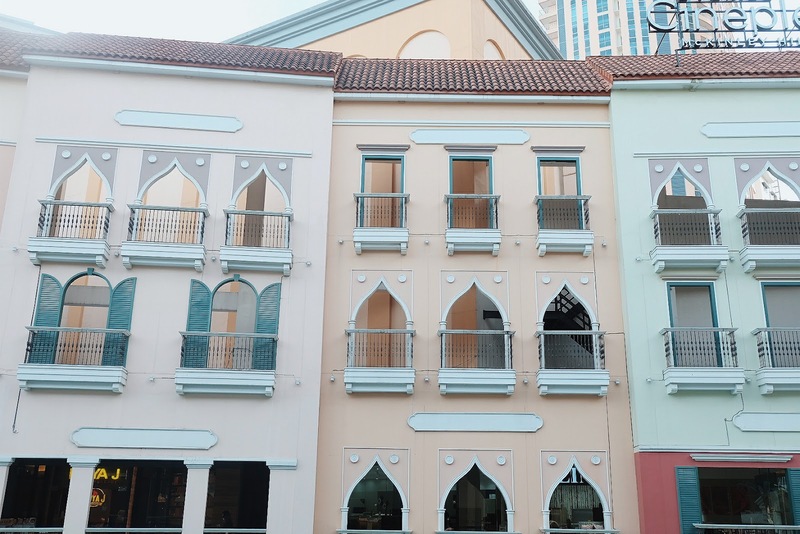 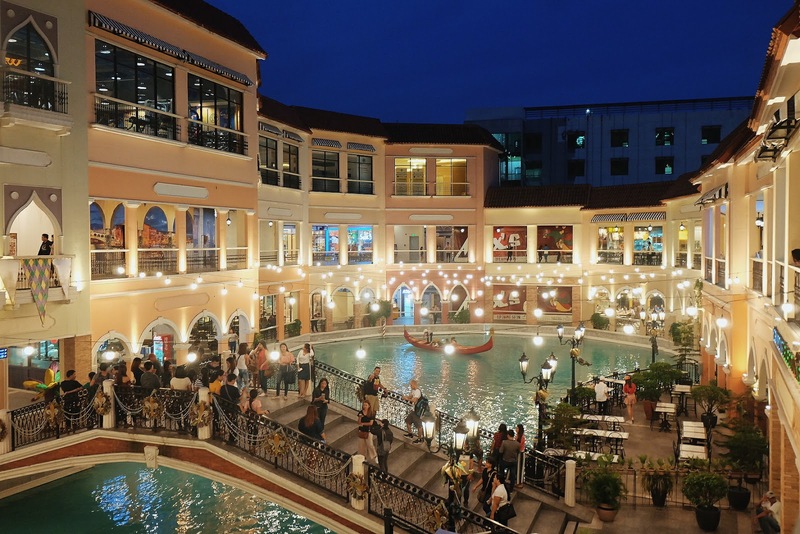 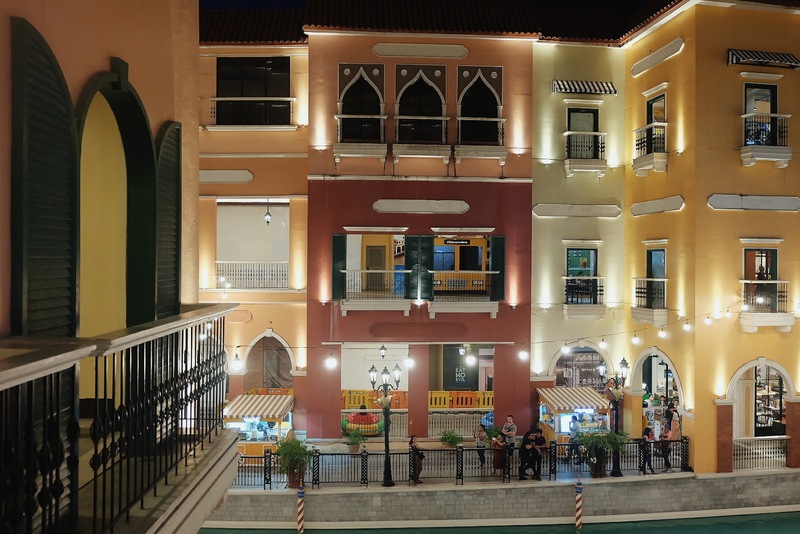 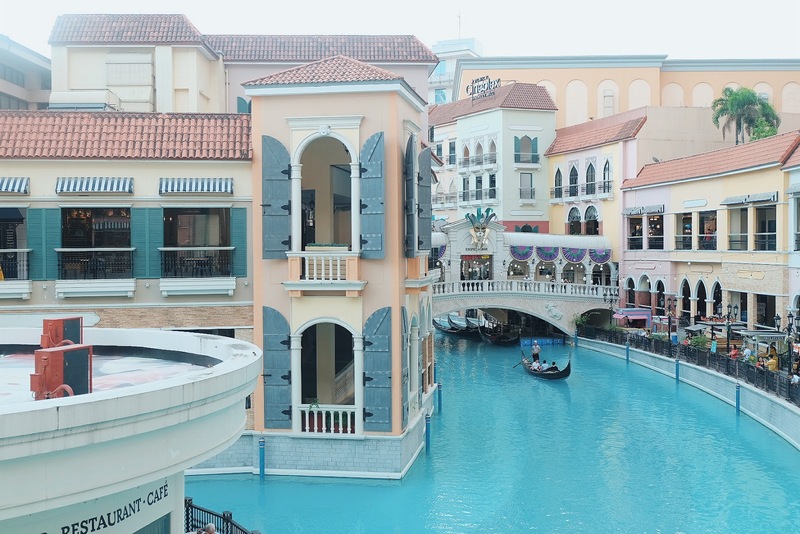 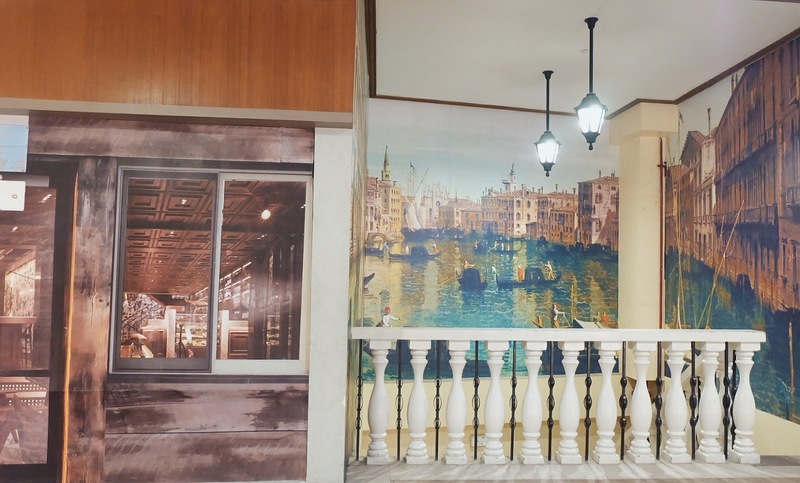 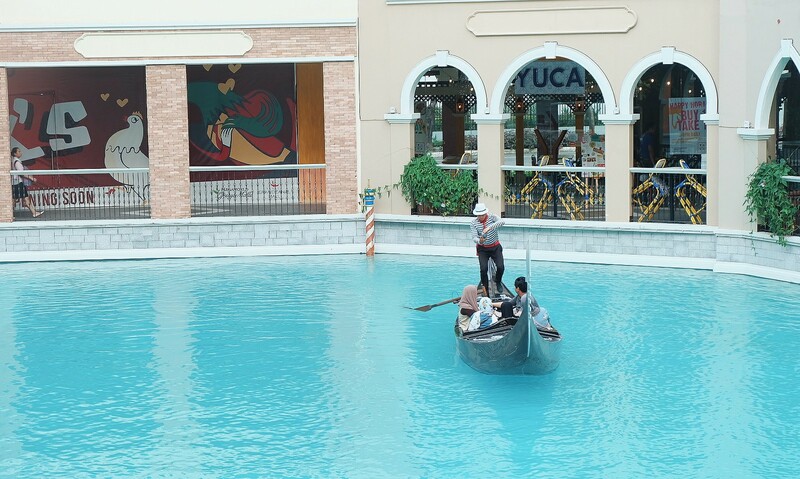 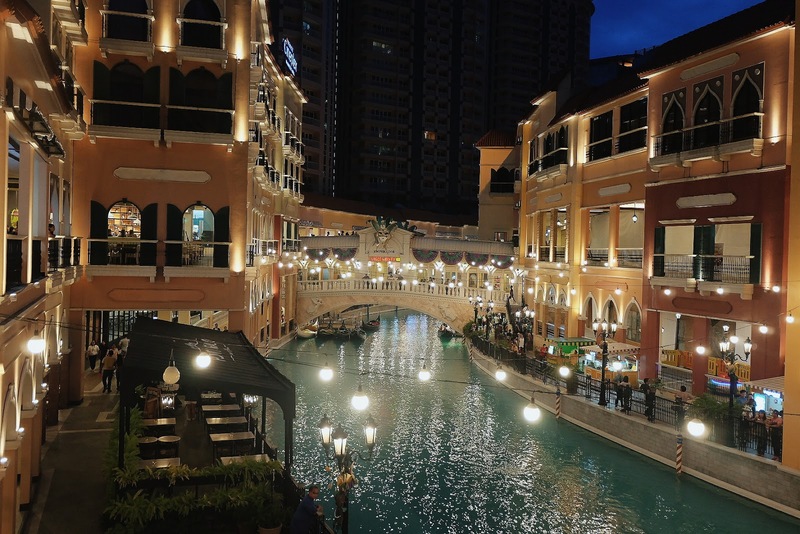 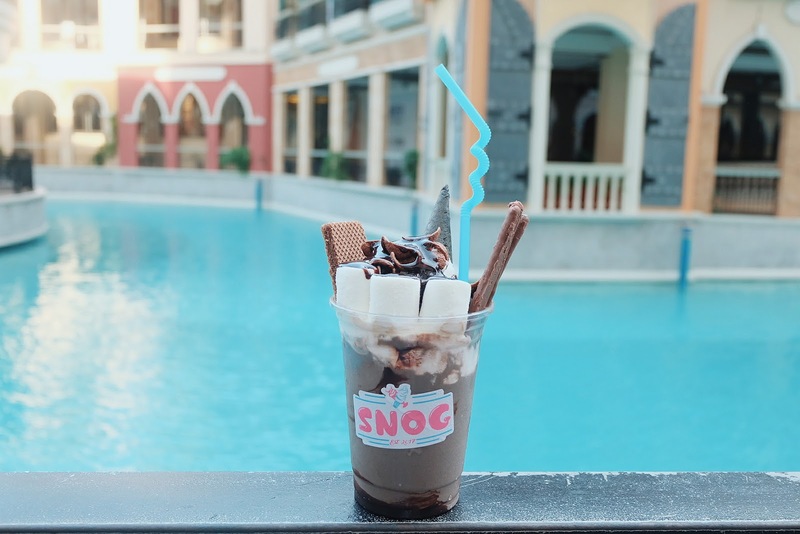 A taste of Venice, Italy can be experienced in Manila! 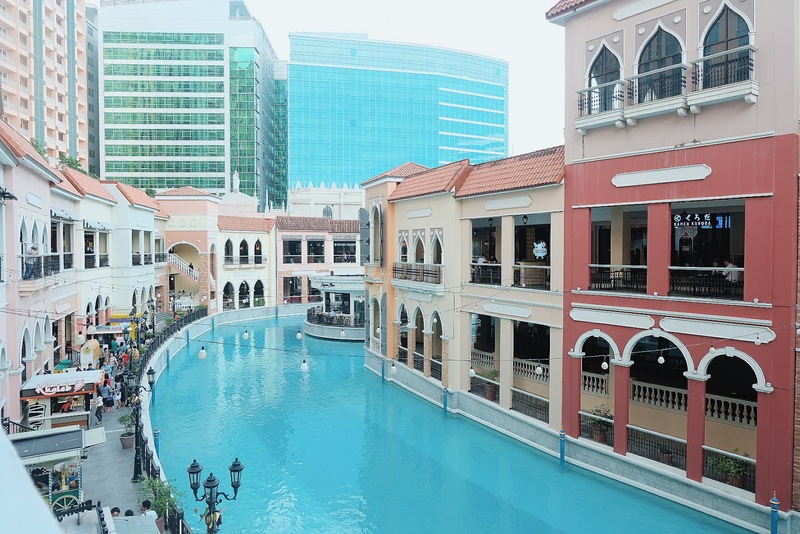 In McKinley Hill, Taguig City to be exact. 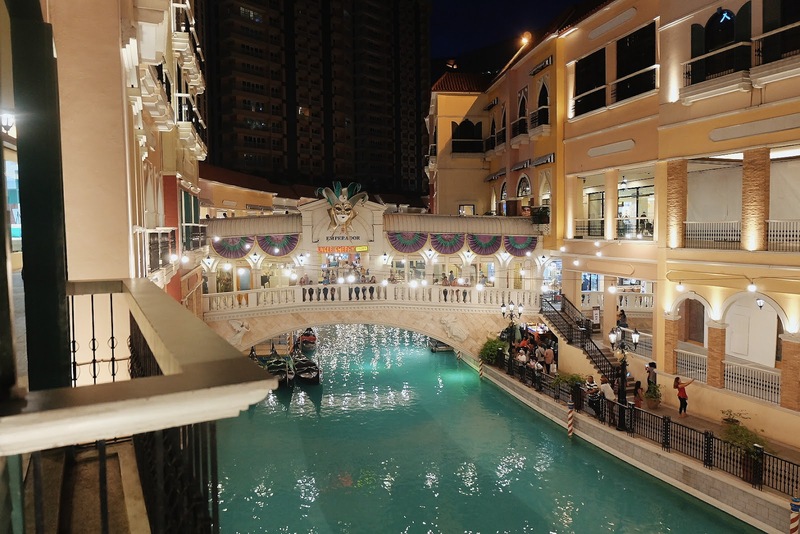 Now I know why Filipinos and even foreigners love this place. 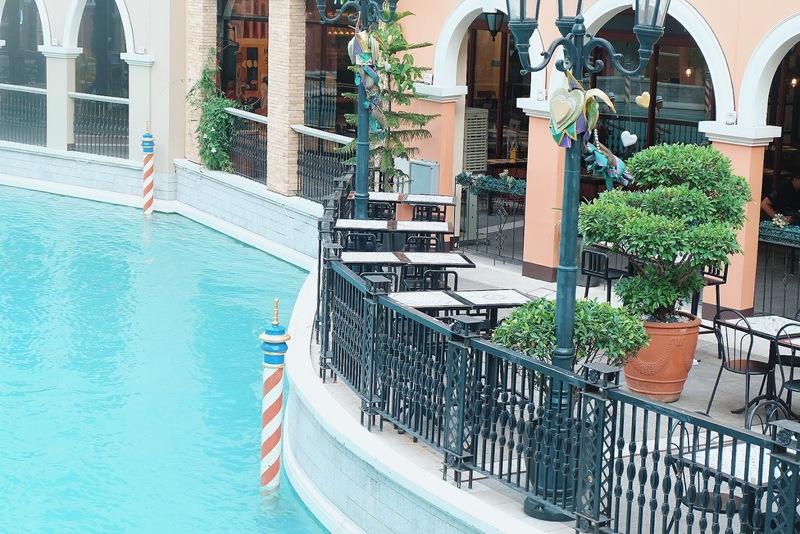 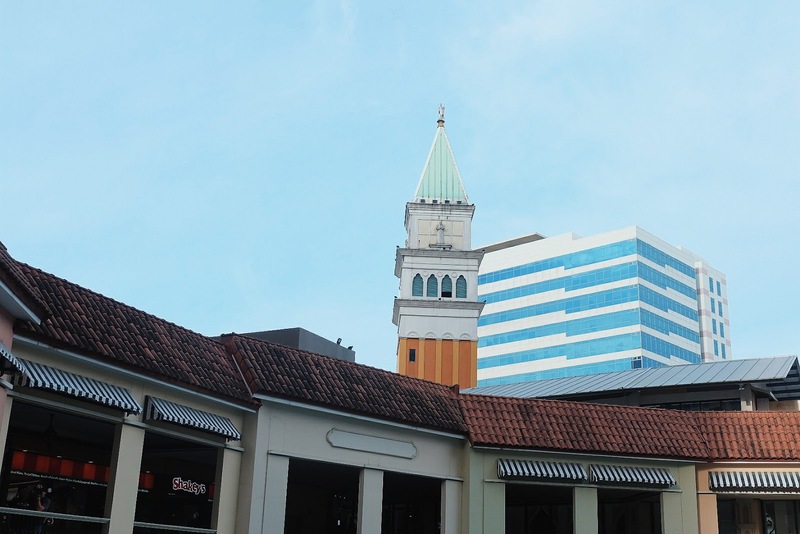 Aside from the picturesque view, you can also unwind and feel the casual lifestyle in Italy. 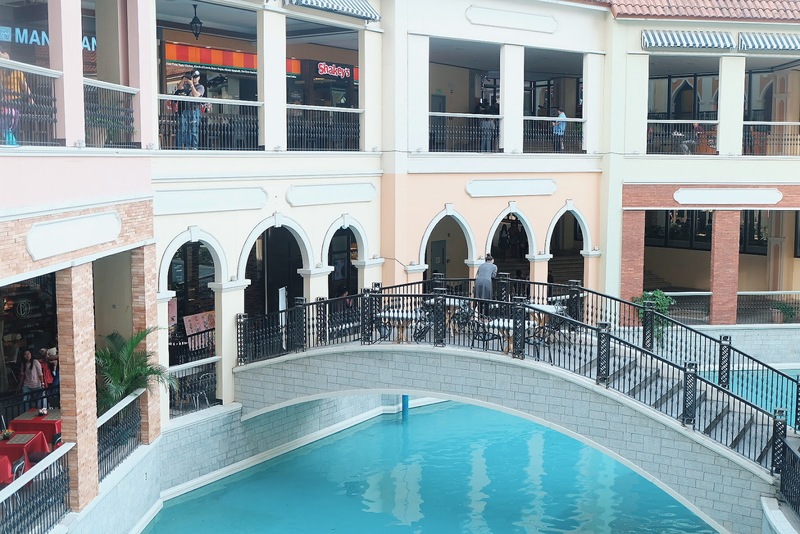 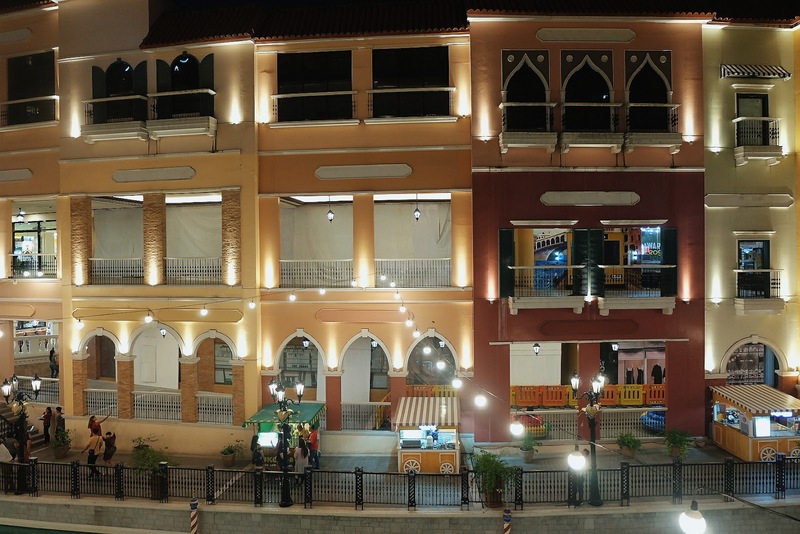 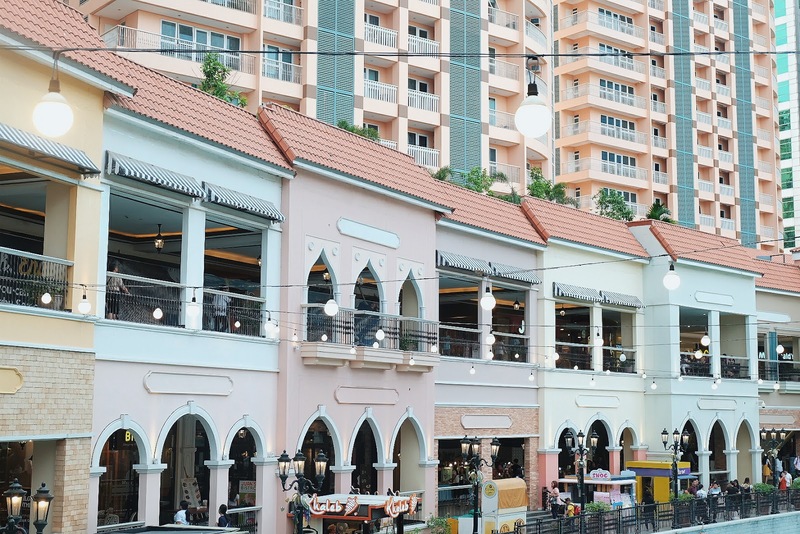 Since it's a part of a mall, there are lot of restaurants and fast food chain where you can dine in. 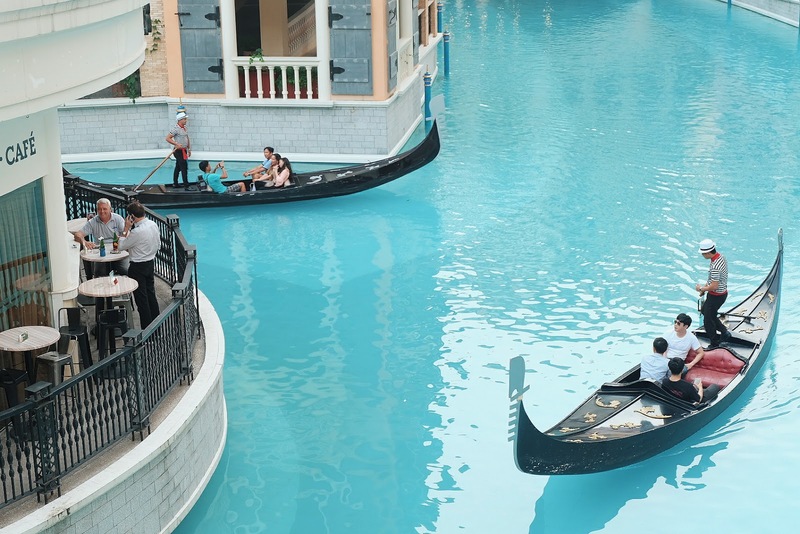 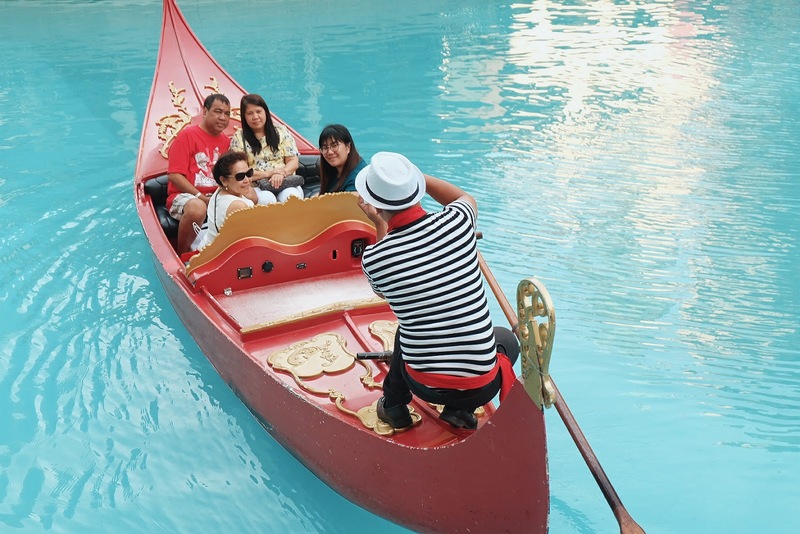 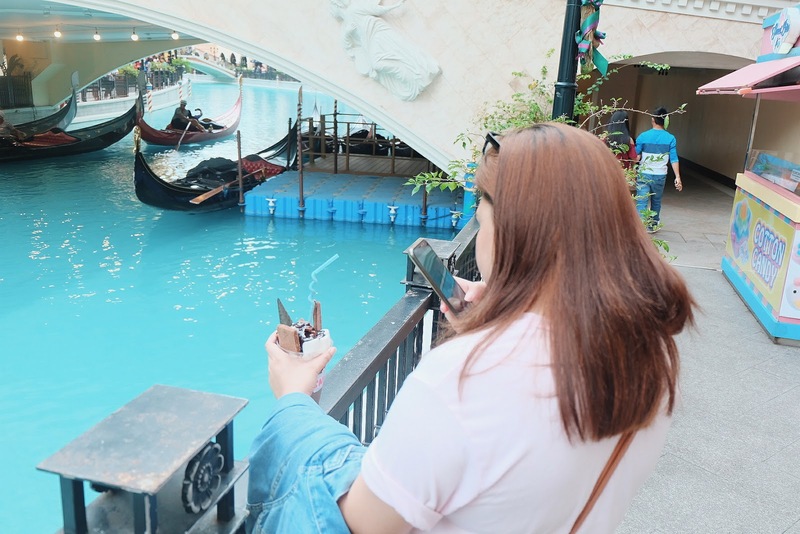 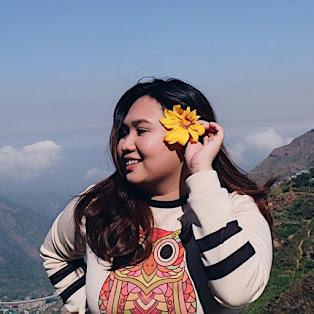 Not only that, you can also enjoy an iconic Gondola ride that sails around the man-made canal for P300/head during weekdays and P350 during weekends and holidays. 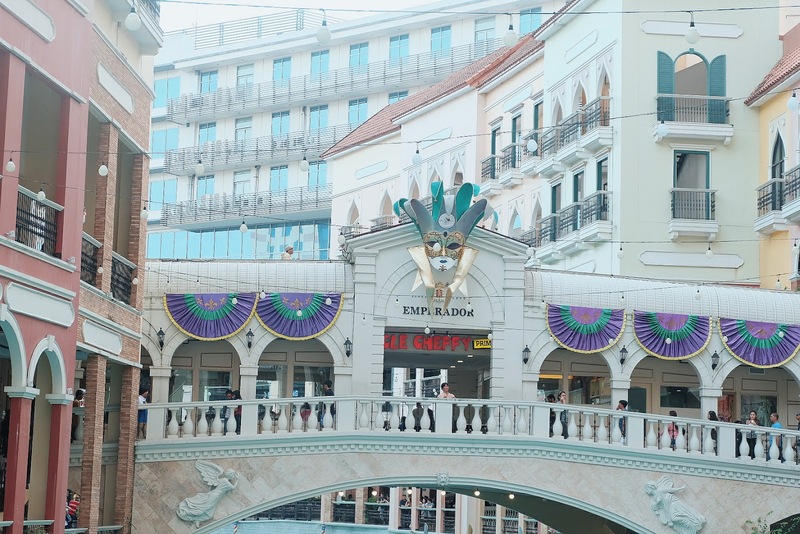 Luckily, for just a short period of time, I was able to see the place during daytime and at night. 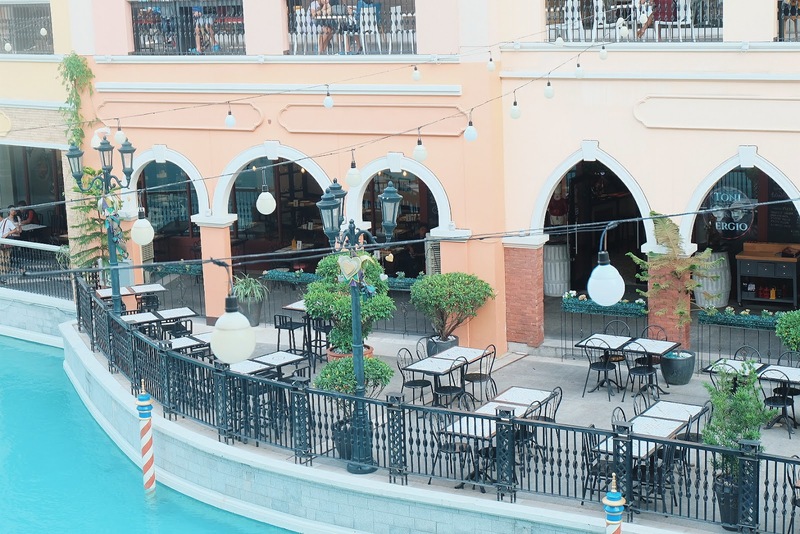 We arrived there at 4:00 pm, we had a quick snack at a Korean restaurant and took a picture of the entire place. 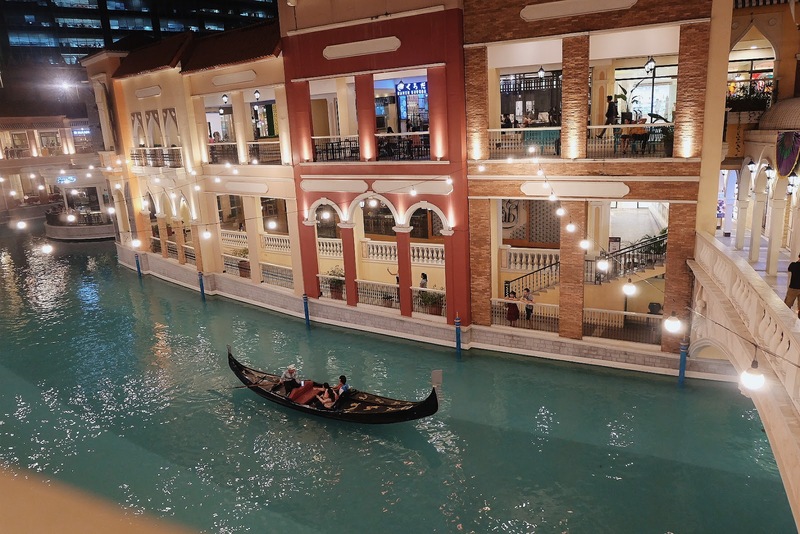 After that, we went inside the mall and waited for the sun to go down so that we can see the place at night. 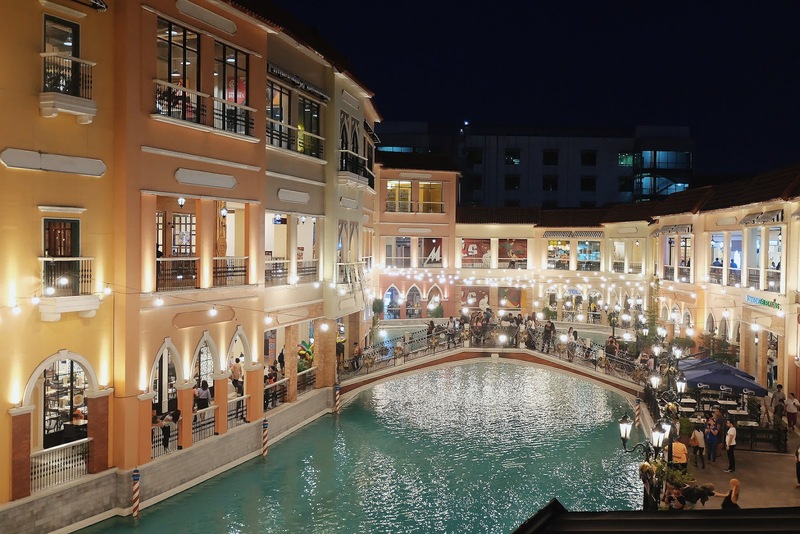 Surprisingly, the place is more crowded at night. 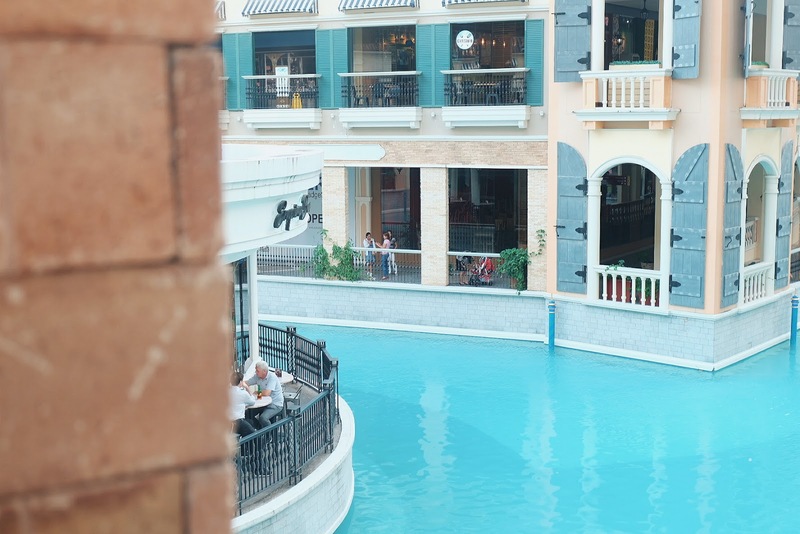 People were busy eating, taking pictures, and roaming around. 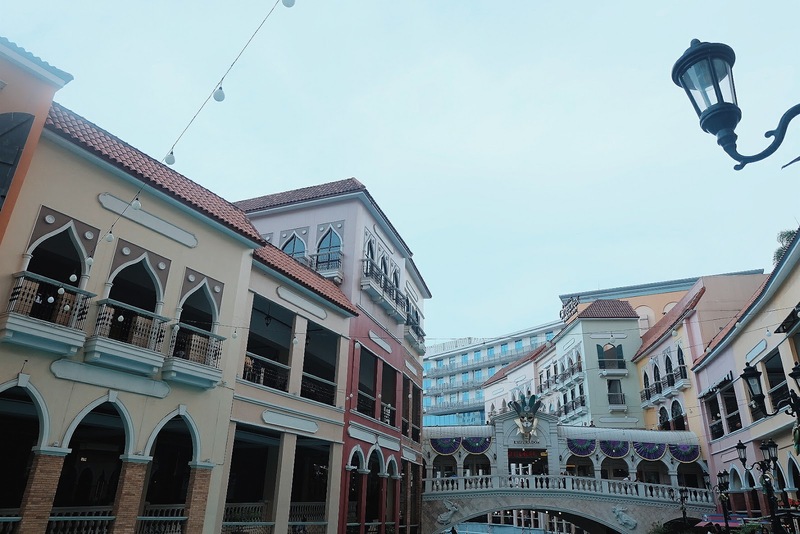 Here are the photos I took. 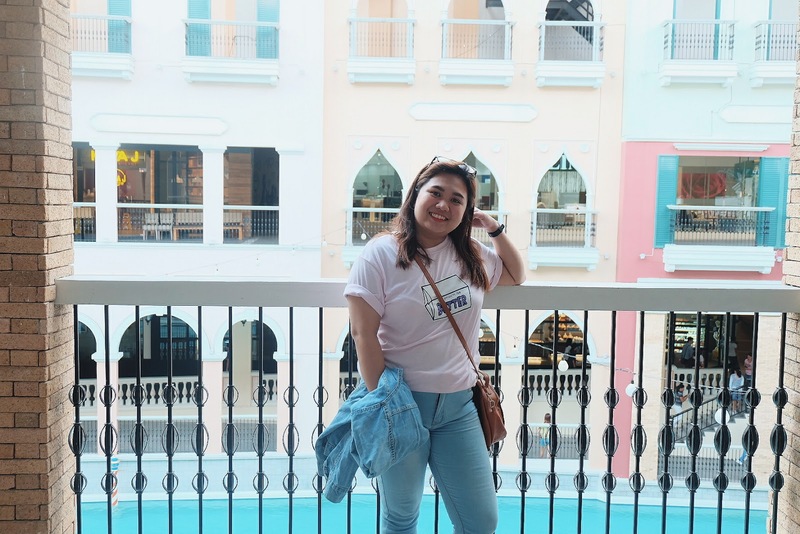 I hope you enjoy looking at them! 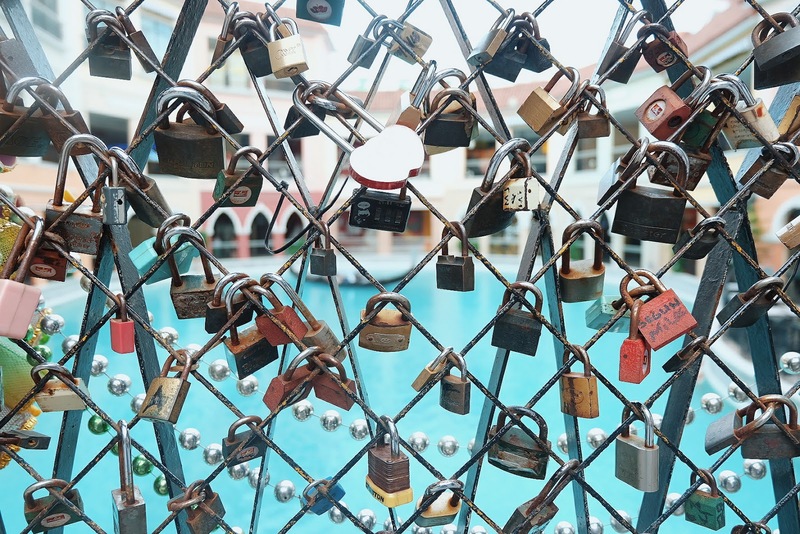 Yes, It has a bridge where love locks can be placed.